Alton Nehemiah Ellis, better known as Alton Ellis, was born on September 1, 1938, in the Trenchtown area of Kingston, Jamaica. He was a prominent singer, songwriter, producer and concert promoter, referred to by many as the “Godfather of Rocksteady,” a romantic, R&B-styled Jamaican music genre. Ellis died of multiple myeloma, a form of bone cancer, on October 11, 2008, at the age of 70. 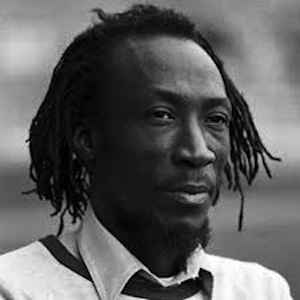 Alton Ellis was born on September 1, 1938, and grew up in Trenchtown, an impoverished area of Jamaica that was home to other leading musicians, including Bob Marley. Ellis excelled at both sports and music at the Boys’ Town school, and made a habit of breaking into the school after hours to teach himself to play the piano. He and his younger sister, Hortense, started out like many other Jamaican performers, by competing on well-known talent shows like Vere John’s Opportunity Hour. The 1959, the R&B song “Muriel,” which Ellis recorded as part of the duo Alton & Eddie and with producer Clement “Coxsone” Dodd, topped the Jamaican charts. Ellis was working as a construction worker at the time. Due to the success of “Muriel,” he became a constant presence on Jamaica’s music charts throughout the 1960s and early ’70s. Alton Ellis died of multiple myeloma, a form of bone cancer, on October 11, 2008, in London. He was 70 years old at the time, and was given a state funeral in honor of the legacy he left to Jamaican music. He was survived by several children, 20 or more from different relationships, and many grandchildren.